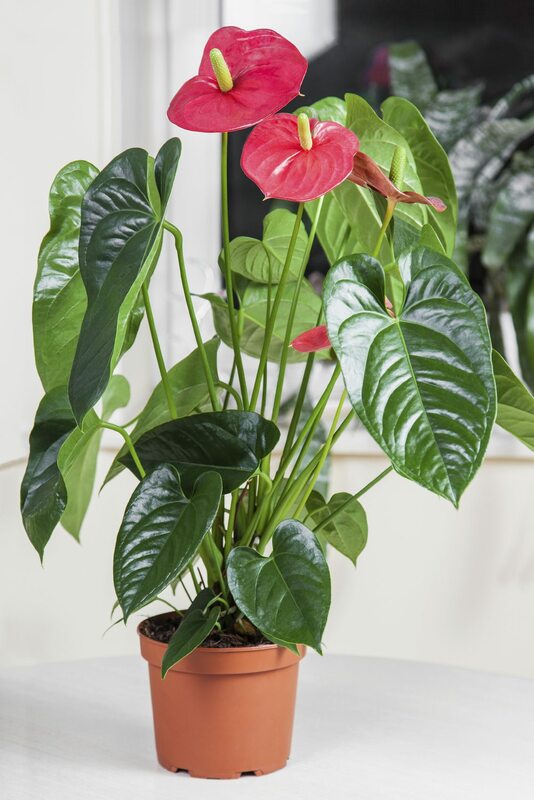 I have an anthurium pot plant. It is in a patio...not in the sun, but the few pink flowers are miniature and big brown spots are on the leaves. It sounds like fungal leaf spot. If possible, trim away infected leaves and make sure the leaves stay dry. Normally this issue will clear up on its own if you do this. Keep it away from other plants though as it can spread. Also, treating the plant with neem oil spray may help.